Korea is the eighth highest energy consuming country and the ninth largest GHG emitter in the world (2014) discharging almost twice the amount of its greenhouse gas levels in 1990. As Korea is blemished with these poor environmental conditions, KFEM thrusts the Korean government to adopt policies that can abate those GHG emission rates, and to both invigorate and expand the use of renewable energy which only accounts for 3.2 percent of the total energy production today (2012). KFEM has campaigned for a Climate Change Bill called the ‘Big Ask’ in 2014 which supports the need of a regulatory system in order to ensure improvement in our inadequate environmental management as well as to safeguard our environmental conditions. Not only, KFEM still actively participates against the extension of thermoelectric power plants as well as articulates the need to reduce 40% of the greenhouse gases to the government in South Korea. 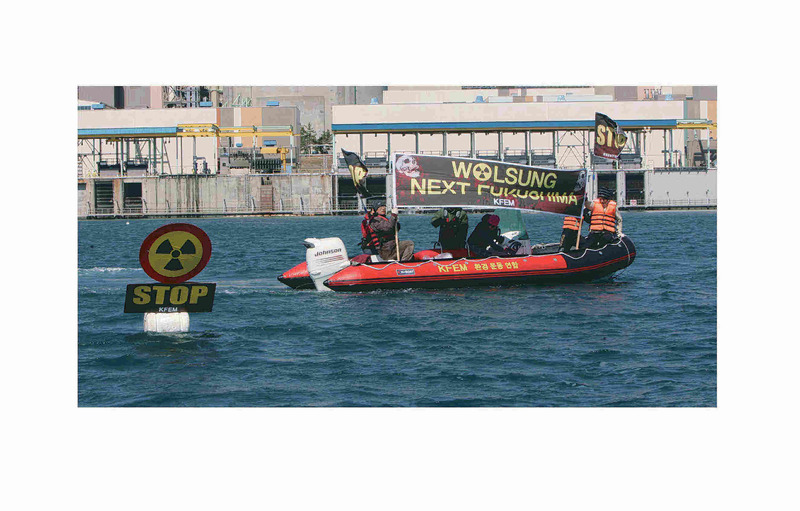 Moreover, KFEM opposes against nuclear power as the Fukushima explosion sufficiently illustrates the insecurity and deadly risks of continuous operation. KFEM not only demands to phase in proper management and waste disposal methods, they also urge the implementation of alternative energies such as solar, wind, water, and so on. Moreover, the association restricts radioactive contaminated products from being imported to Korea, opposes against the construction of new power plants as well as monitors radioactive pollution that individuals can be exposed in their daily lives. KFEM is working to terminate the heavy dependence on nuclear power, and guide the Korean peninsula to a nuclear-free zone.